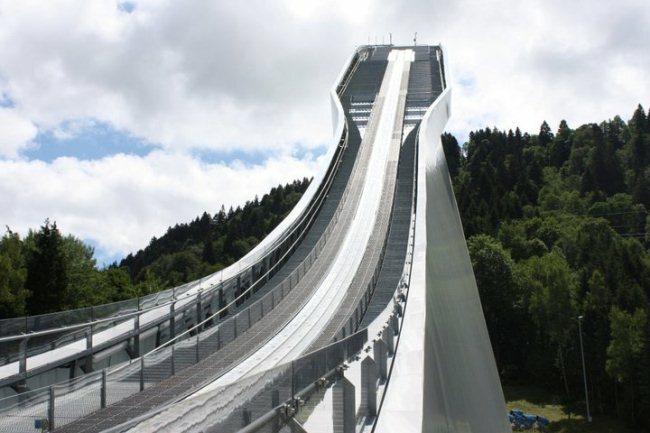 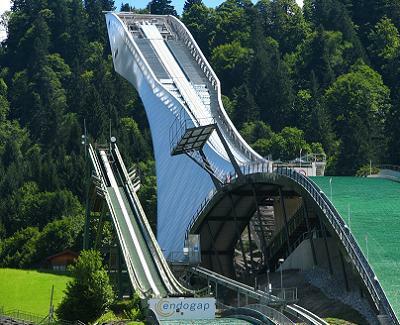 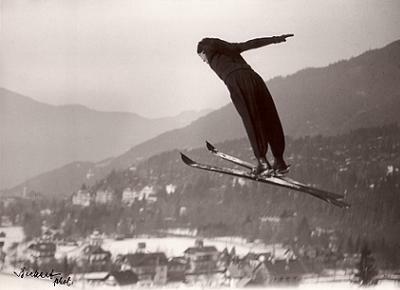 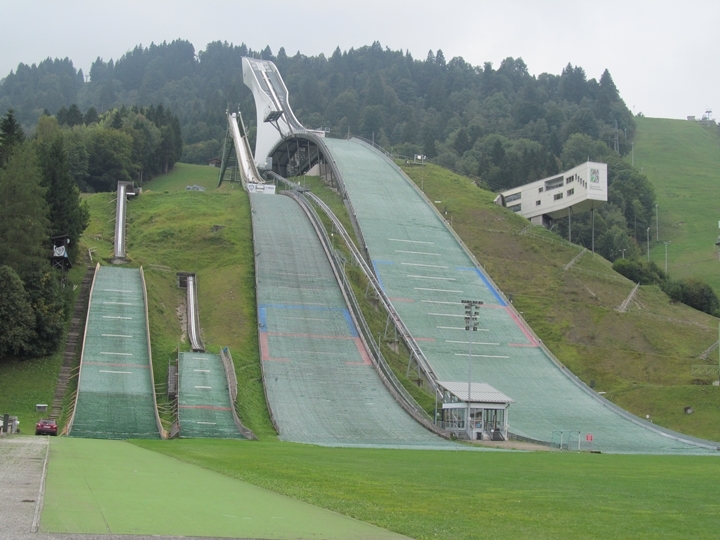 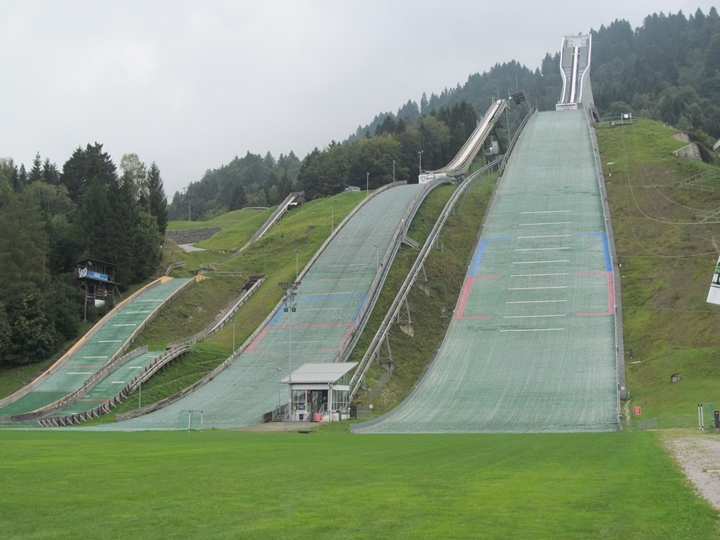 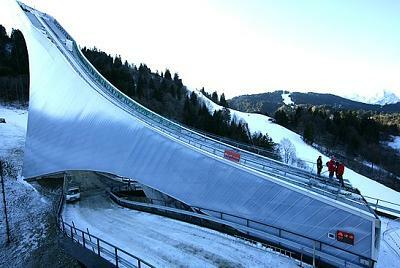 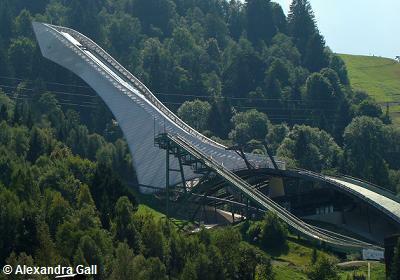 Already in the beginning of 20th century there were first ski jumping hills at Garmisch-Partenkirchen on Kochelberg, Gudiberg and Hausberg. 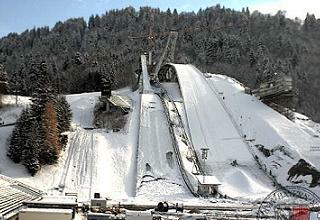 Since 1921 the Ski-Club Partenkirchen has been hosting traditional New Year’s competition. 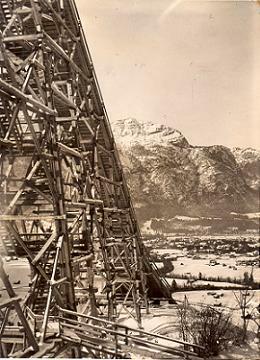 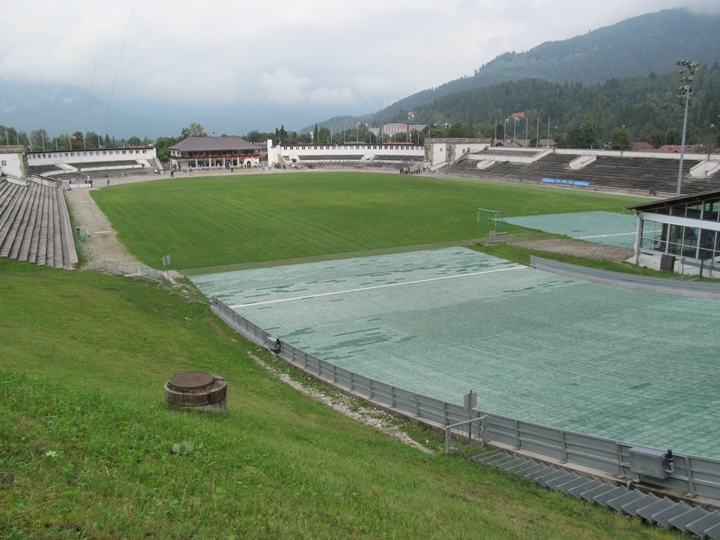 When the Winter Olympics 1936 were given to the new double-city Garmisch-Partenkirchen, people began to build the “real” Olympiaschanze at Gudiberg in October 1933. 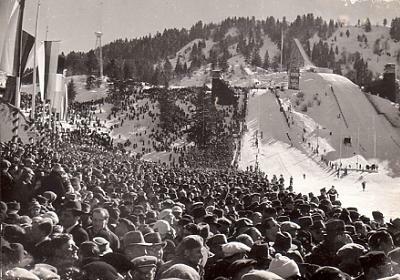 At the first trial competition on February 5th 1934 the Norwegian Rolf Kaarby jumped widest at 70 metres. 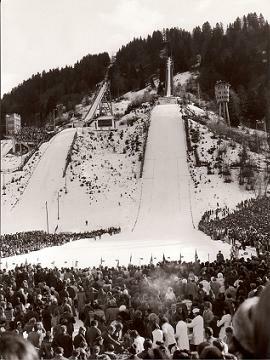 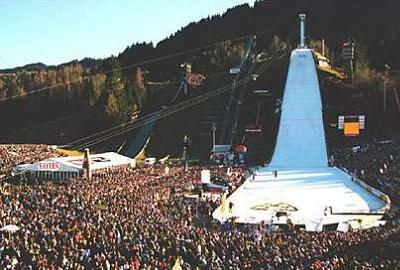 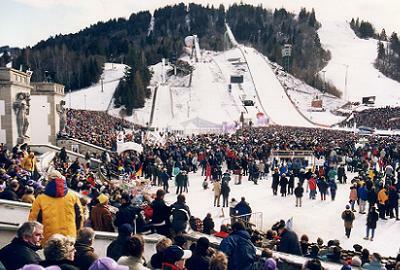 Around 5,000 spectators watched the “baptism” of the jump. 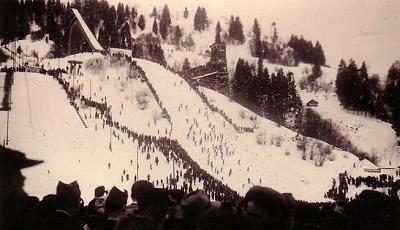 The total spectator record was set up at the “Große Olympiaschanze” during the Olympic Winter Games 1936. 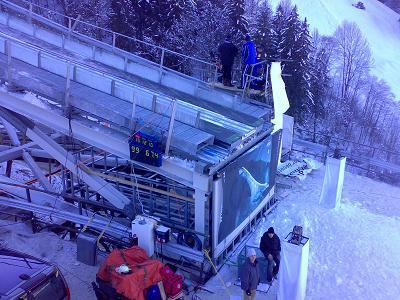 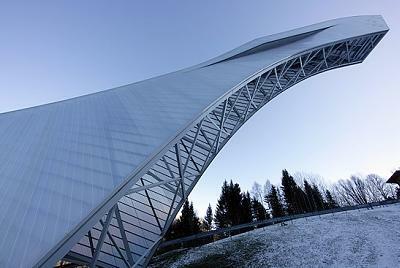 130,000 visitors were witnesses of a unique ski jumping event, which was won by the Norwegian Birger Ruud with jumps on 75 and 74,5 metres. 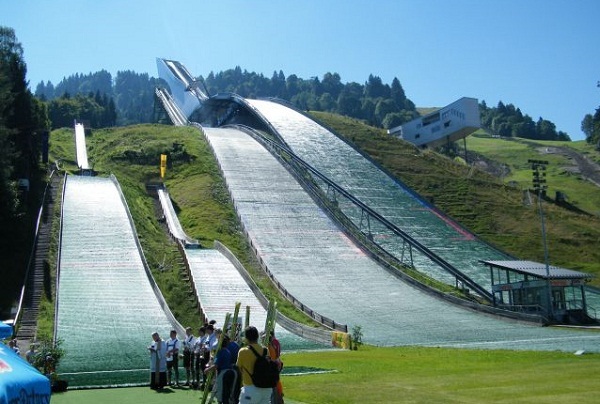 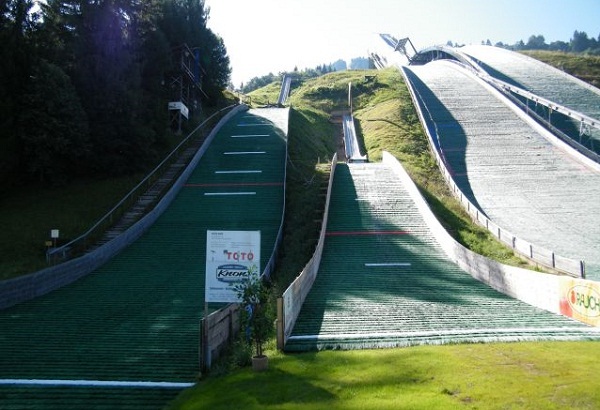 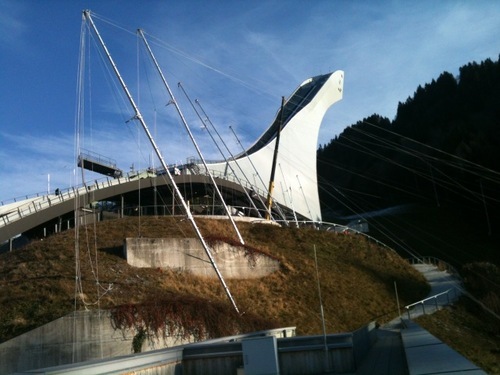 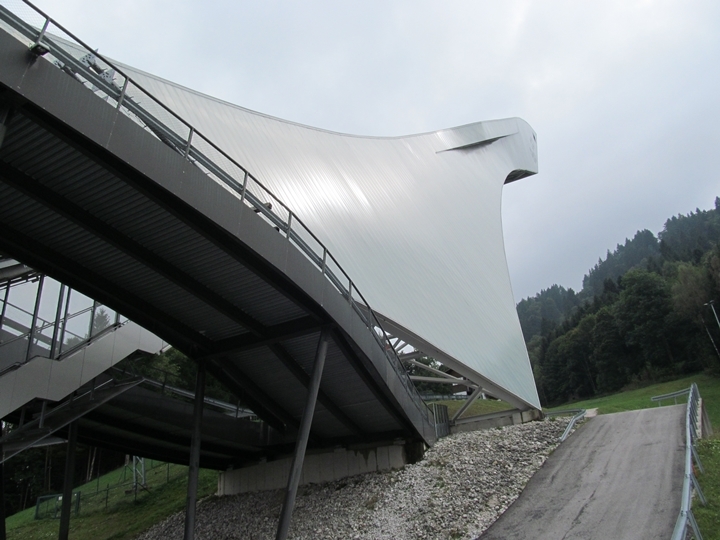 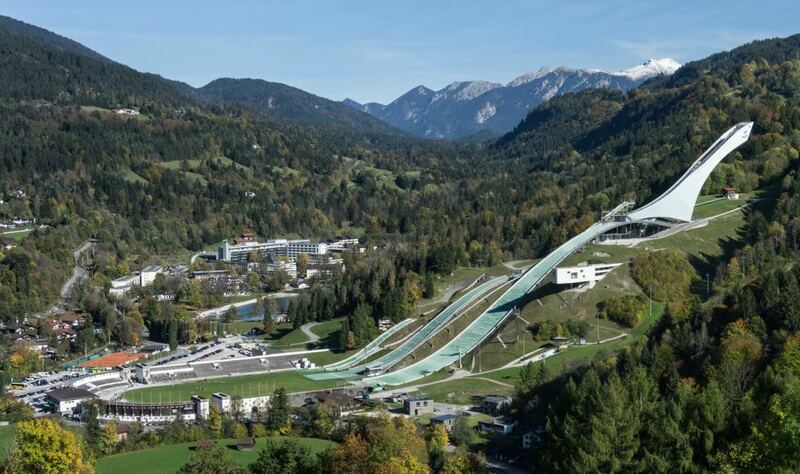 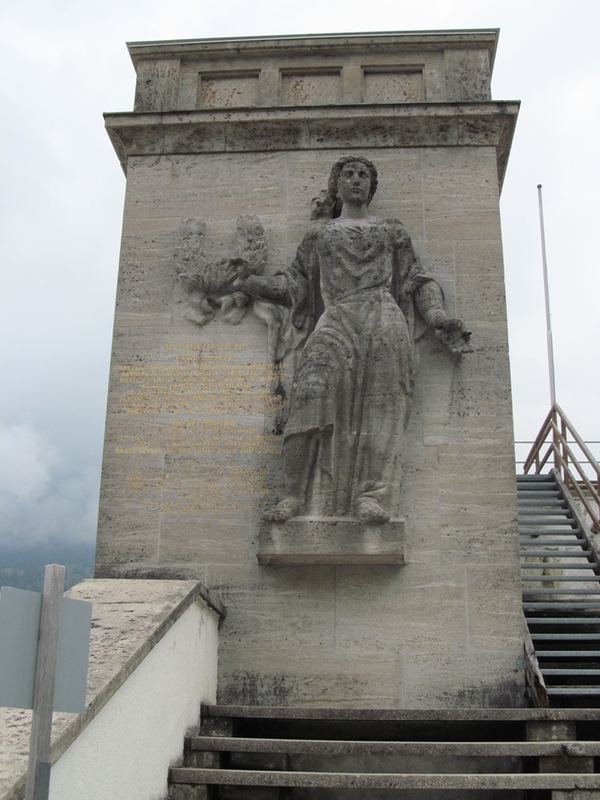 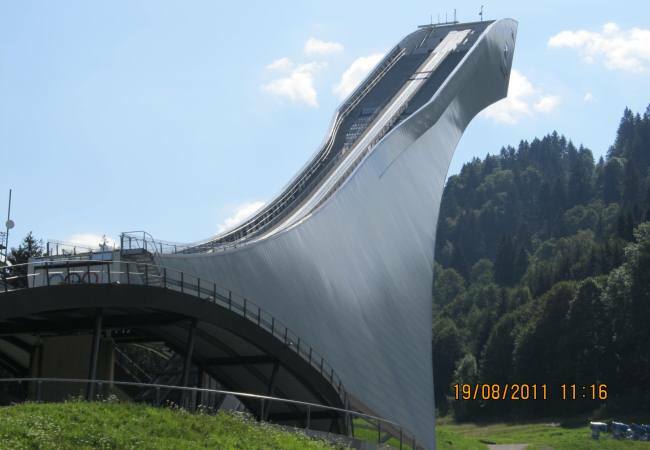 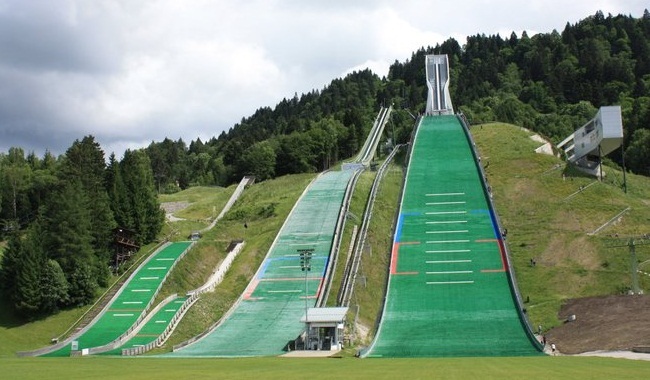 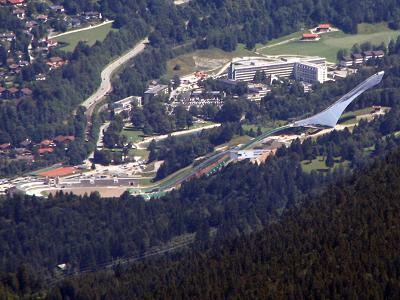 After that Garmisch also should host the Olmpics 1940 and the still today existing ski stadium, which is a landmarked monument, was constructed. 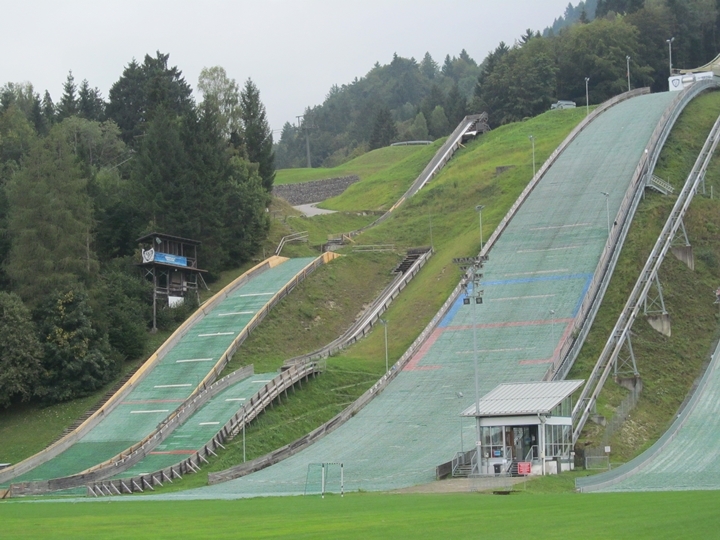 The Große Olympiaschanze was adapted several times to changing standards. 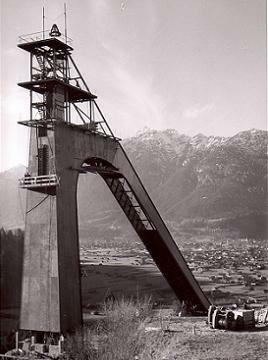 1950 the inrun tower out of steel was built, which was at that time unique in architecture and construction. 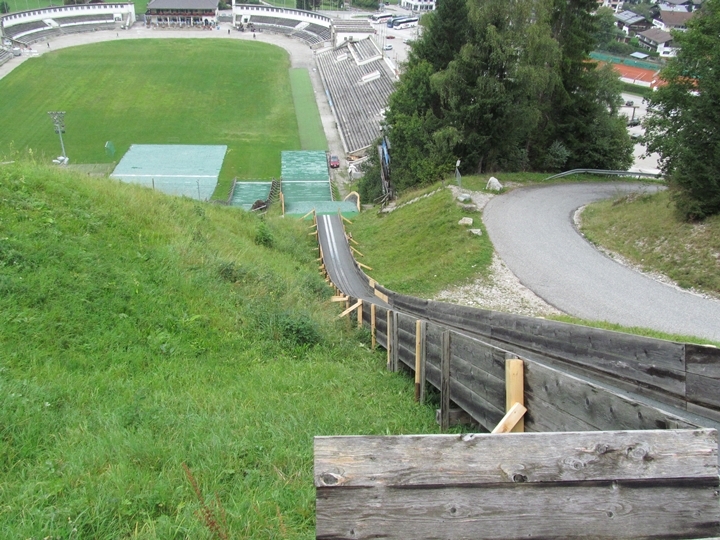 With the enlargement of the inrun and backshifting of the takeoff with the same K-Point, unchanged inrun angle and a conversion of the landing hill the whole jump was enlarged. 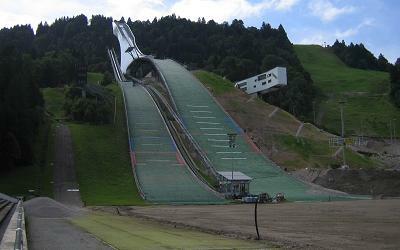 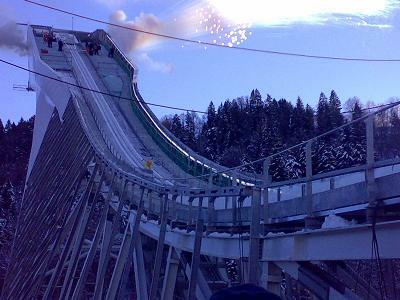 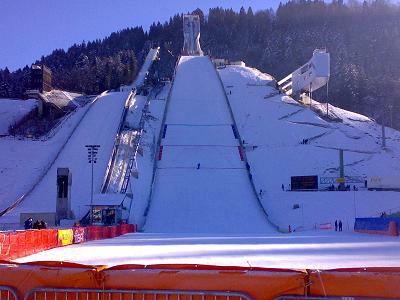 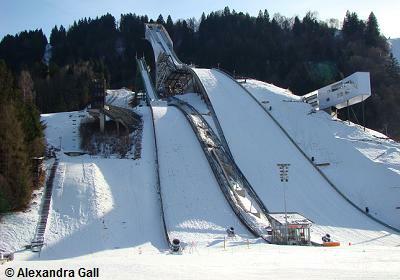 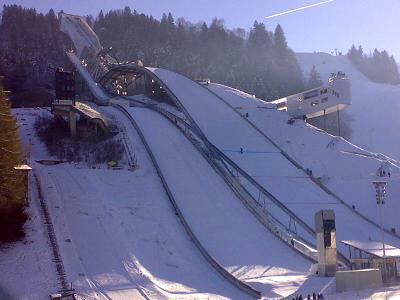 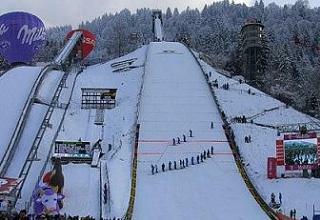 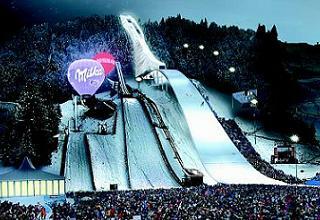 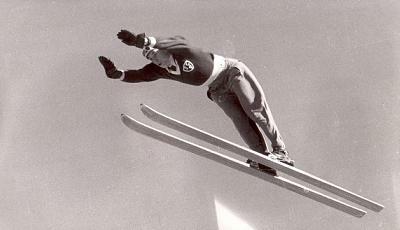 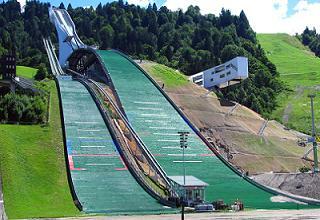 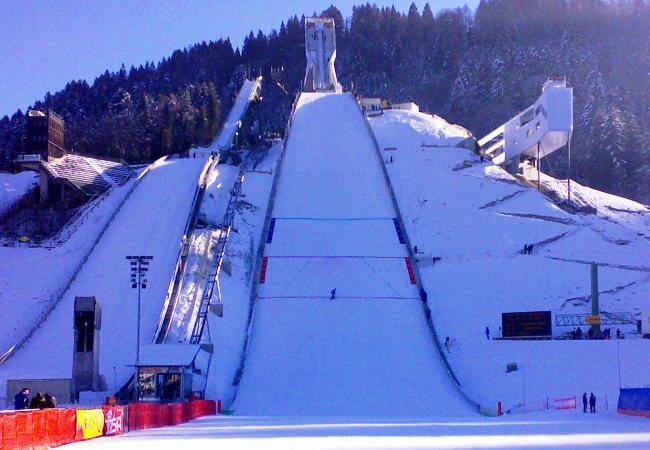 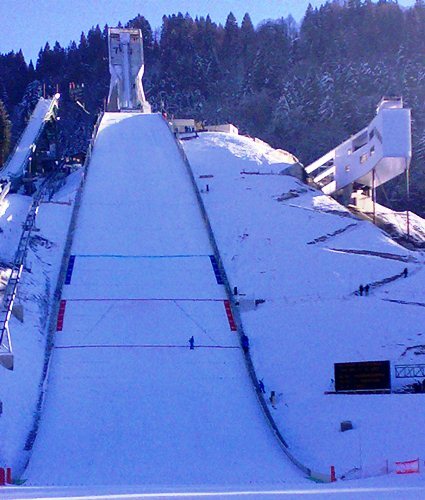 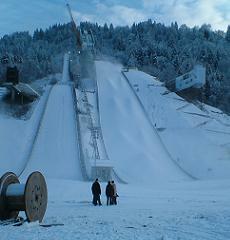 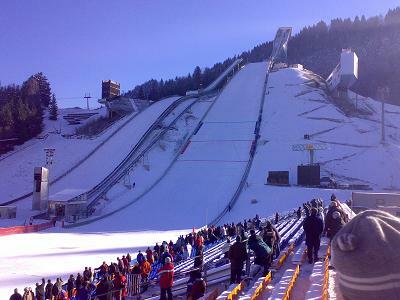 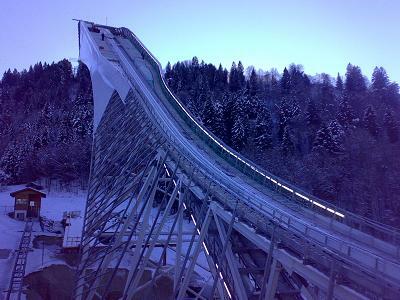 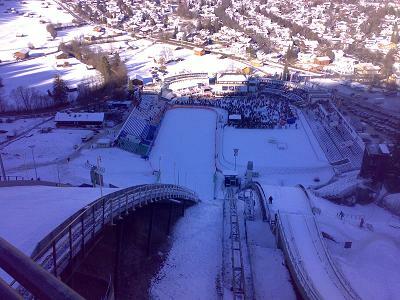 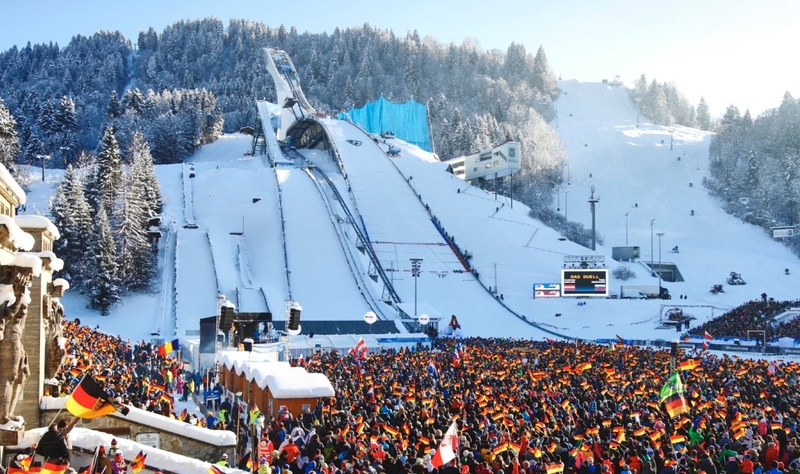 With new Year’s competition on January 1, 1953 the very first “German-Austrian” Ski Jumper’s Tournament started. 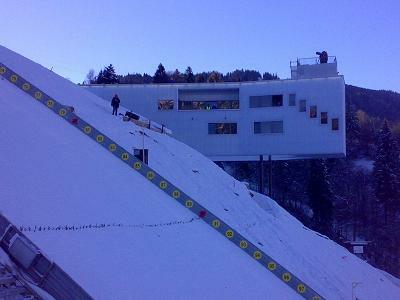 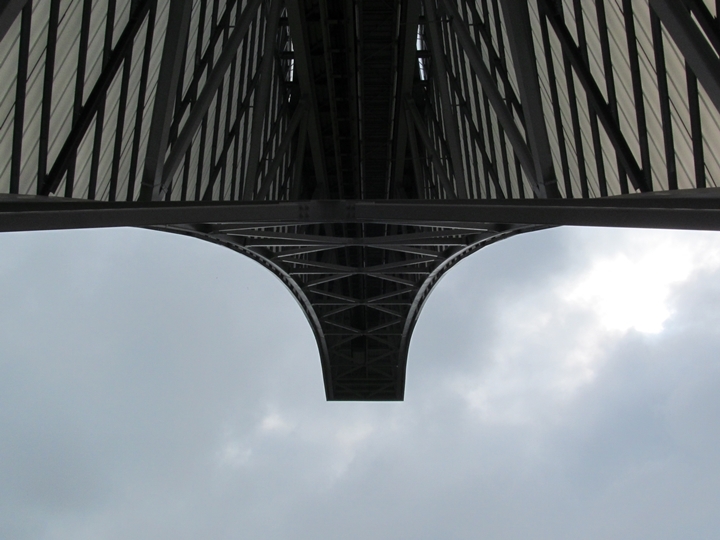 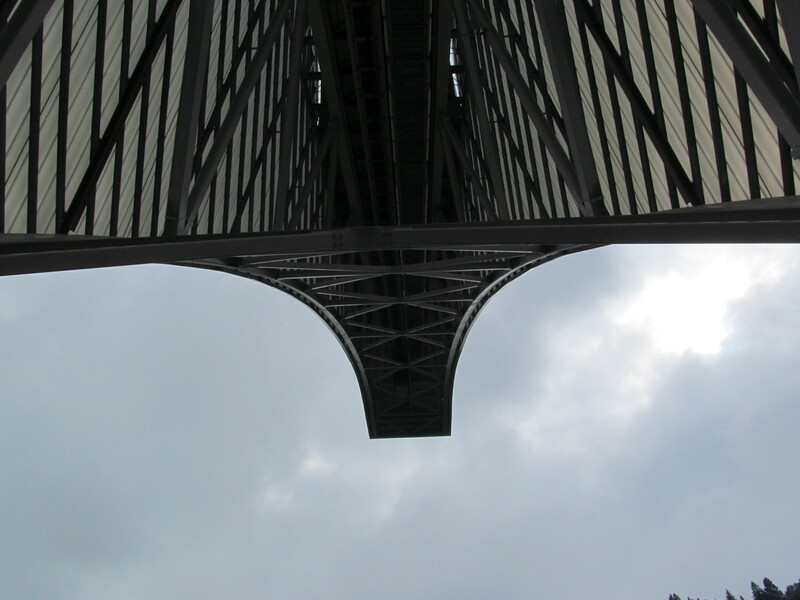 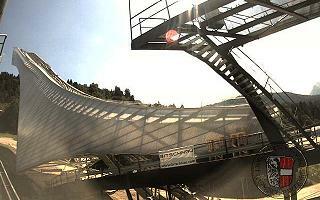 In 1978 the jump was converted again and the K-Point enlarged to 107 meters. 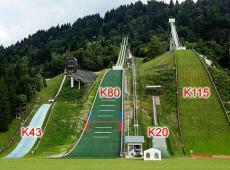 Another conversion was in 1996, when the profile of the jump was adapted to modern rules and changed into K115. 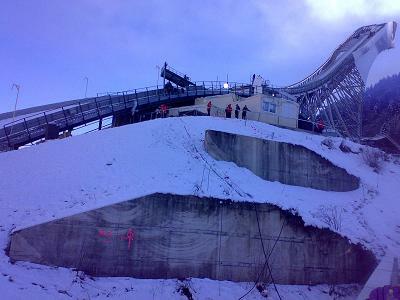 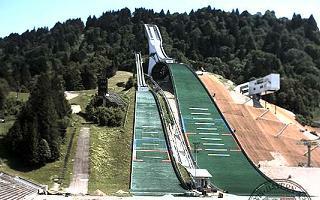 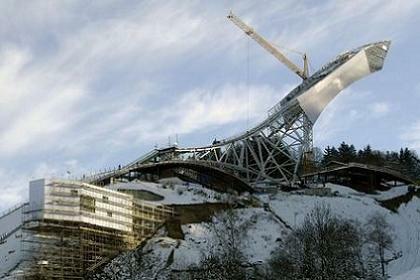 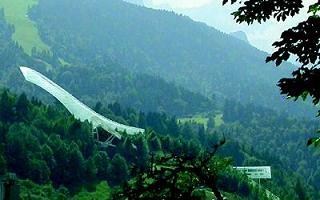 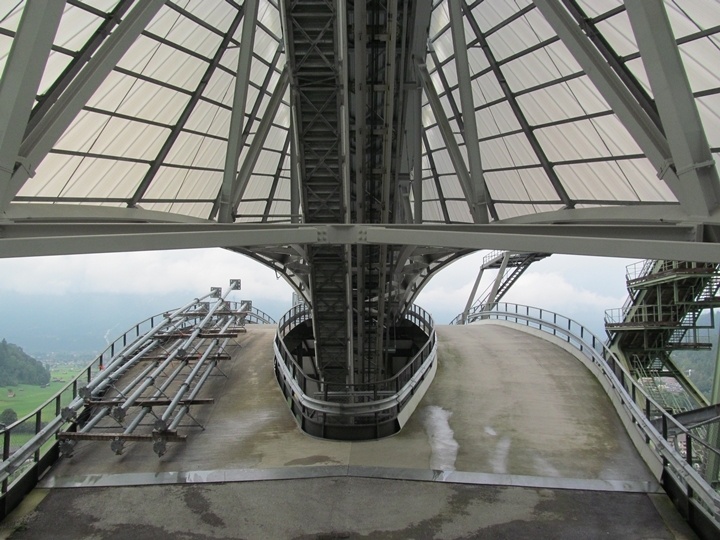 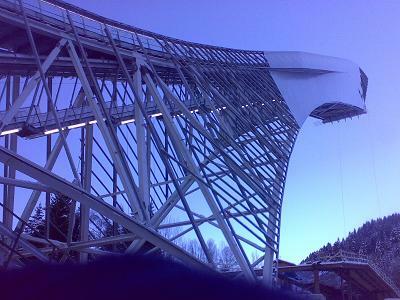 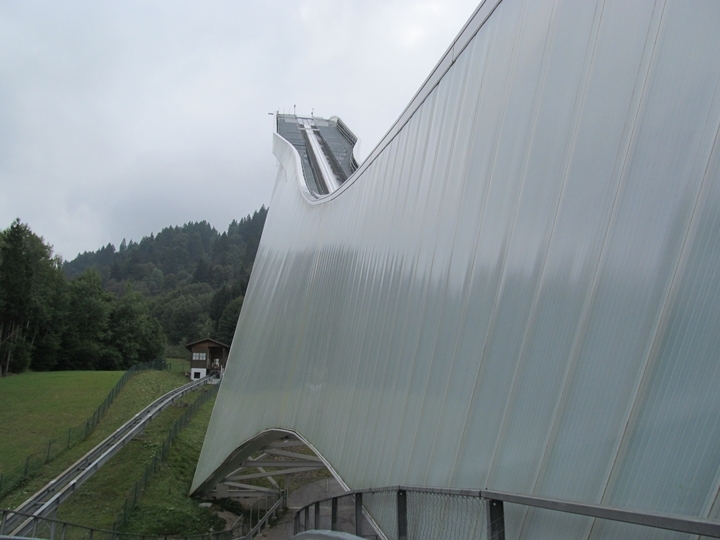 During 2000 a modern lift was added to the skiing stadium and a glass cabine on the inrun tower was built. 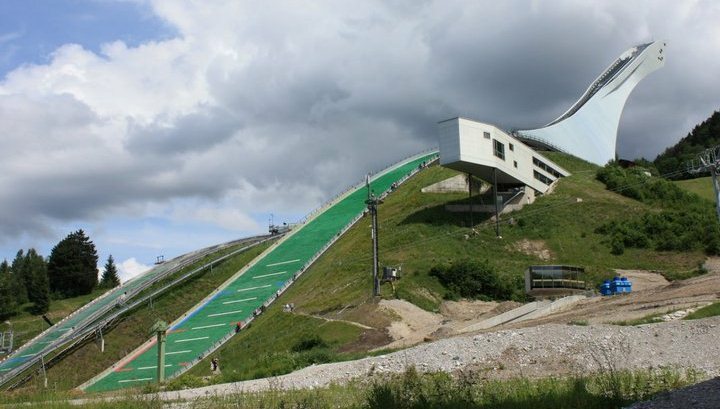 Then already more than 50 year old ski jumping hill was then blown up on April 14, 2007, because the hill certificate did no longer confirm to FIS criteria. 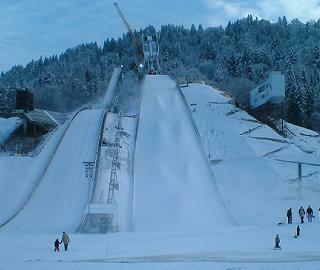 Under immense pressure of time works started, in order to complete the futuristic 14 m. € expensive K125 ski jump just in time for New Year’s competition 2008. 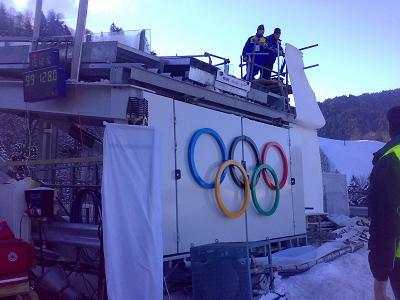 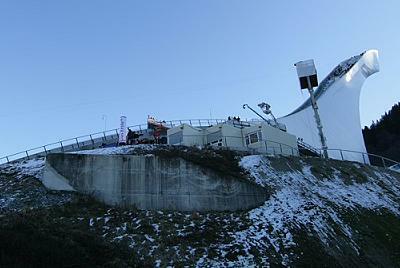 The very first jumps then were performed during COC competitions on December 21 and 22, but then a New Year’s Competition 2008 could perform a first official hill record with 141 meters. 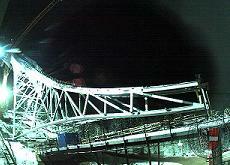 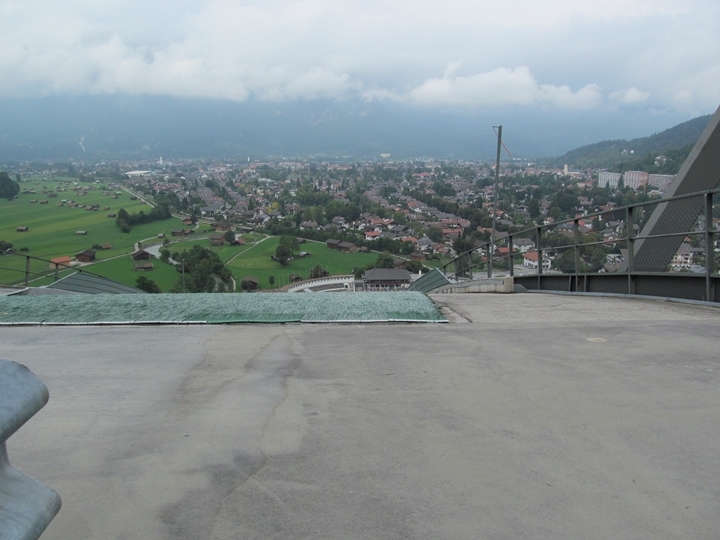 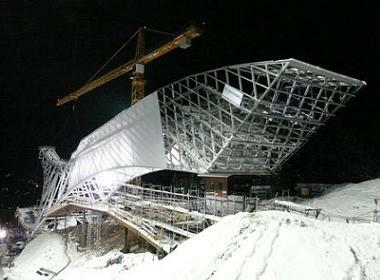 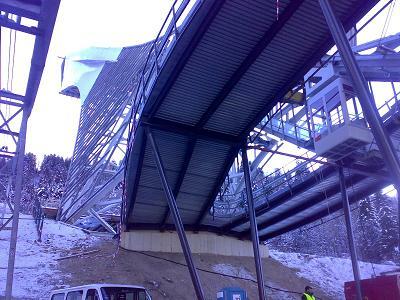 The last works of the covering the inrun tower and installing the plastic mattings were finished in June 2008. 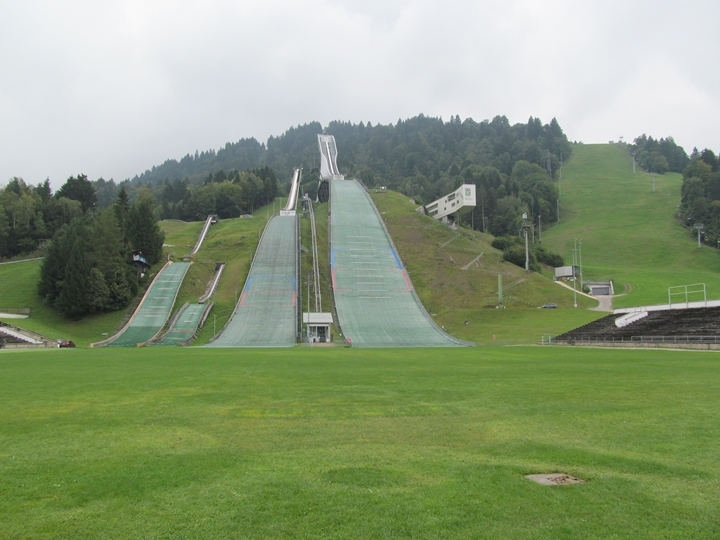 On August 22, 2010 finally also the two reconstructed and plastic covered junior jumping hills K43 and K20 could be inaugurated. 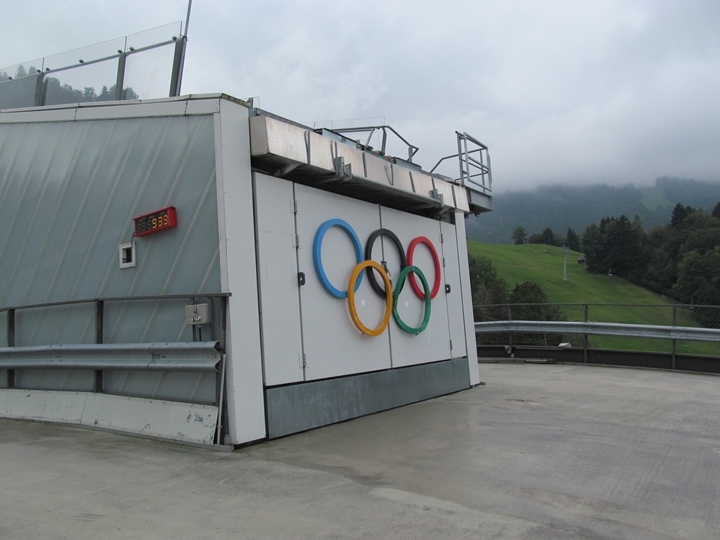 Due to wind difficulties at the large Olympiaschanze a 1500 sqm big wind shield was installed inbetween take-off and judges' tower in December 2011. 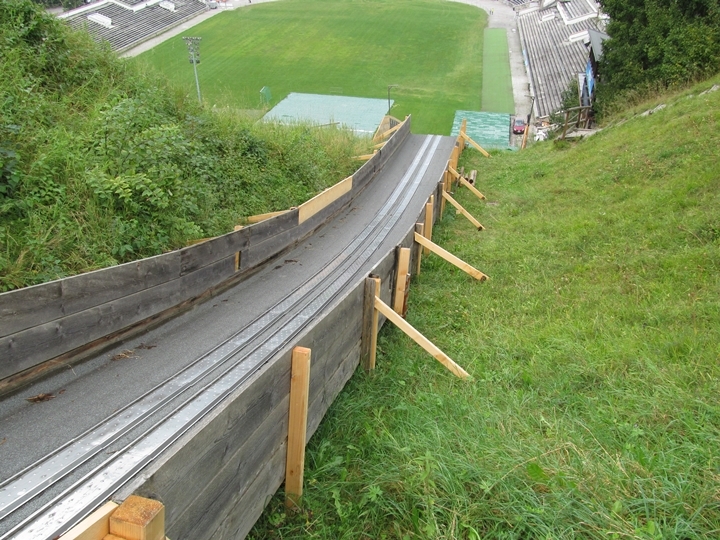 Furthermore a measuring system for take-off timing and strength was installed into the Ski-Line inrun track and shall be used for the first time during New Year's Competition 2012, too. 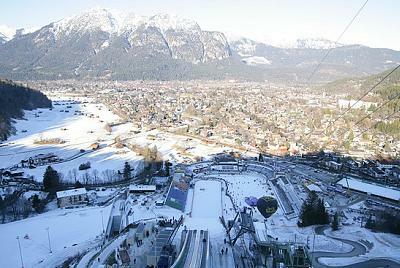 Garmisch-Partenkirchen is in the far south of Germany in the Bavarian Alps and is a popular spa in Oberbayern and an winter sports area of international reputation in the Alps at the foot of the Zugspitze, the highest mountain in Germany. 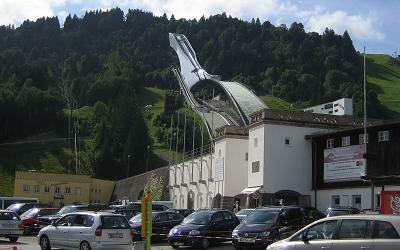 The city was established in 1935, when Garmisch and Partenkirchen were united to one city. 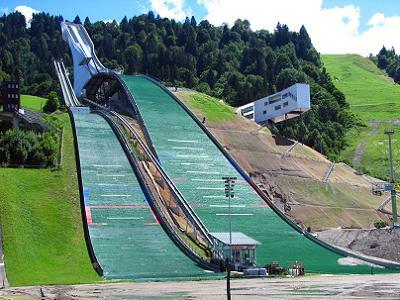 In 1936 the Olympic Winter Games took place there. 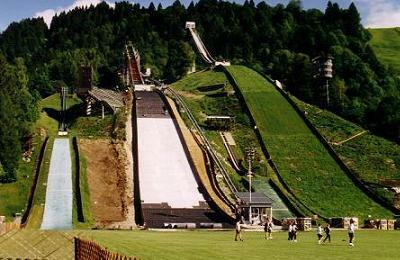 Beside tourism, plastics processing, chemical industry and the construction of skiing binding was economical impact. 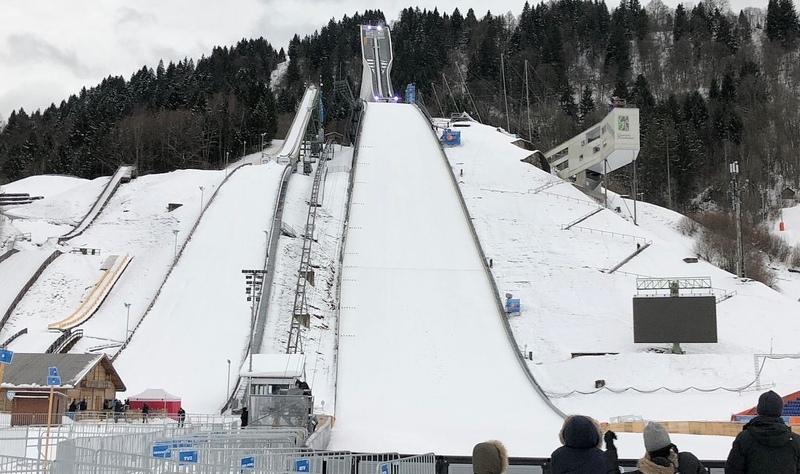 Anders Jacobsen mit 145 m neuer Rekordhalter. 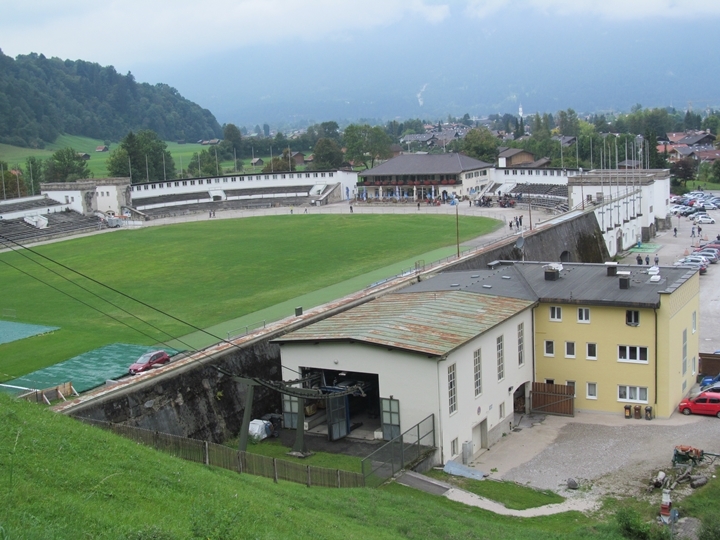 Die Weite wurde im Training aufgestellt. 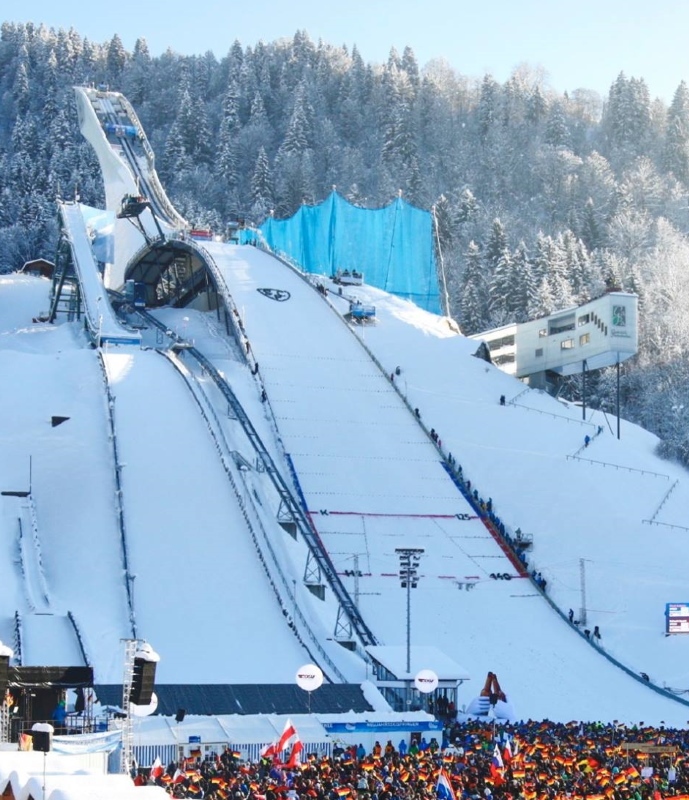 http://www.fis-ski.com/pdf/2012/JP/3112/2012JP3112RLT.pdf wg protokołu 22 belka to jest 107,5 długości najazdu, ale tutaj pisze że cały najazd to jest 103,5. 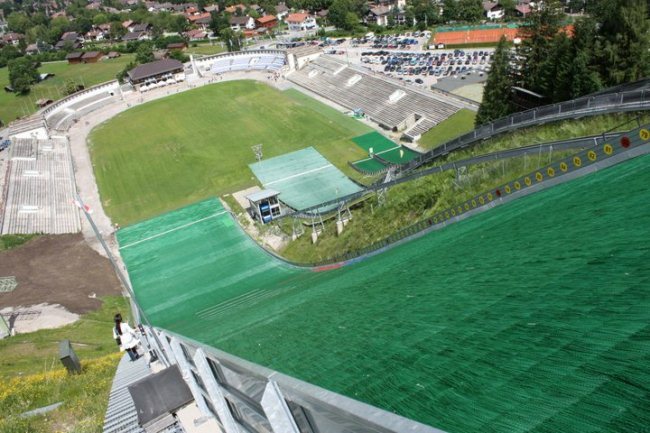 To jaka jest prawda? 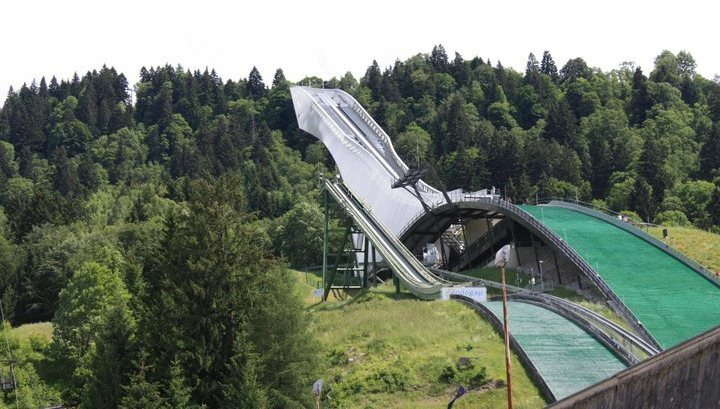 Również w Klingenthal długość rozbiegu podana na stronie niezbyt się zgadza z tym co podaje FIS. 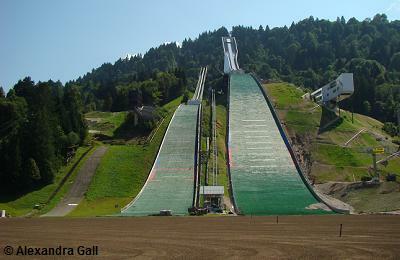 Sind sie dumm in Ga-Pa oder was? 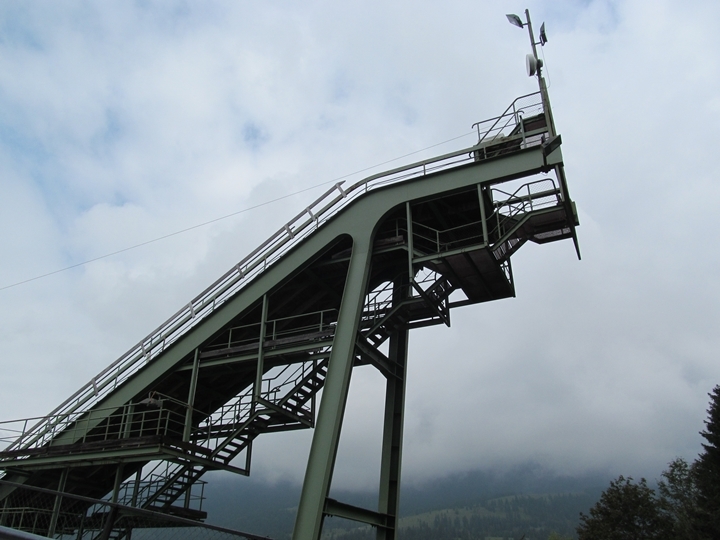 Sie hatten frueher die kleinen Schanzen K-20 und K-43. 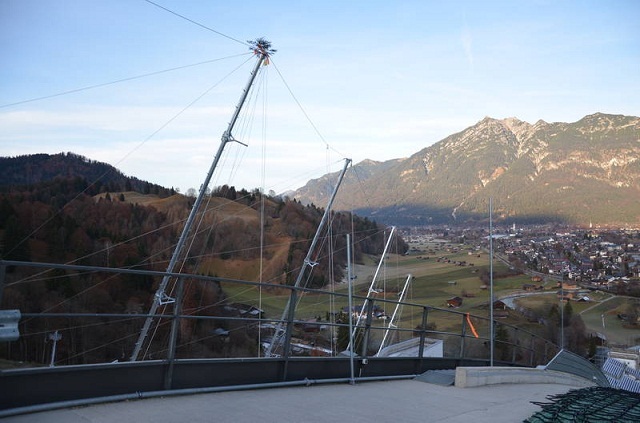 Dann dachten sie ganz intelligent, dass eine K-20 fuer AnfaengerInnen zu gross ist undso wurde vor ca. 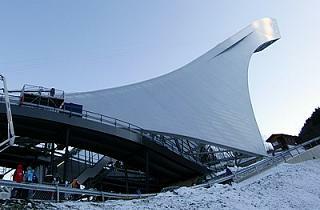 7 jahren die K-8 gebaut (die ich uebrigens leider nie bestiegen habe, weil ich zum letzten Mal 2003 in Ga-Pa gewesen bin). 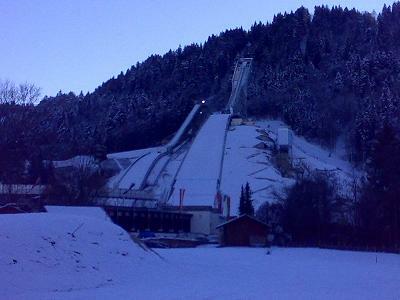 Dann muessten die kleinen Schanzen wegen des Umbaus abgerissen werden. 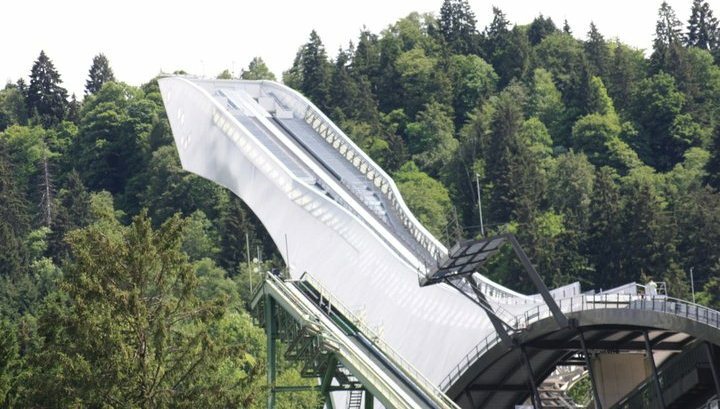 Jetzt gibt es neue Schanzen und "natuerlich" K-20 ist die Kleinste. 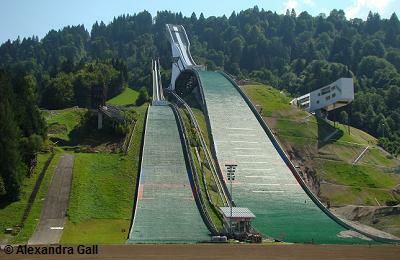 Warum?! 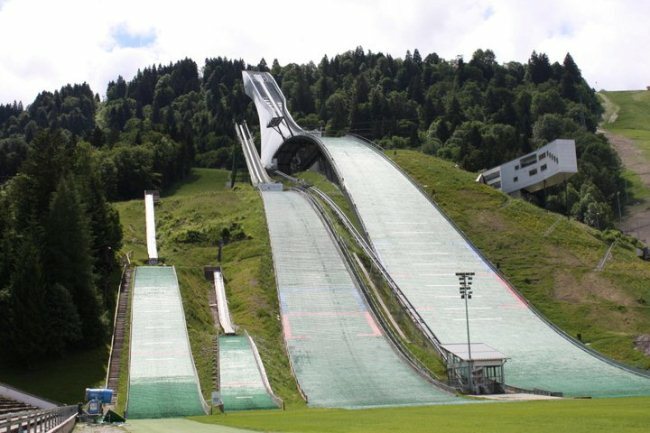 Sie haben doch schon getestet, dass eine solche Schanze zu gross ist! 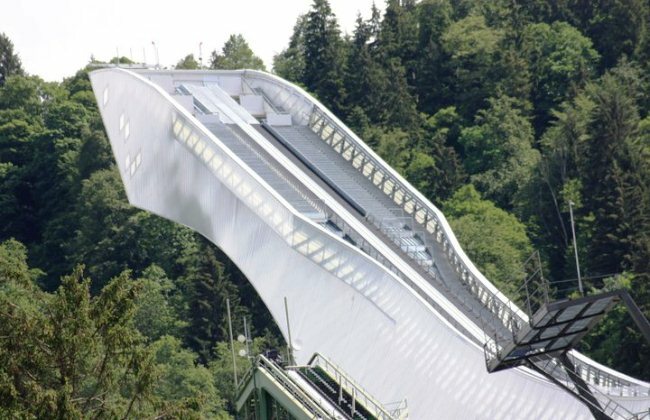 Wygląda na to, że Estończyk Aigro nie uzyskał wcale tych 53,5 m. Najwyraźniej do oficjalnych wyników wkradł się błąd. 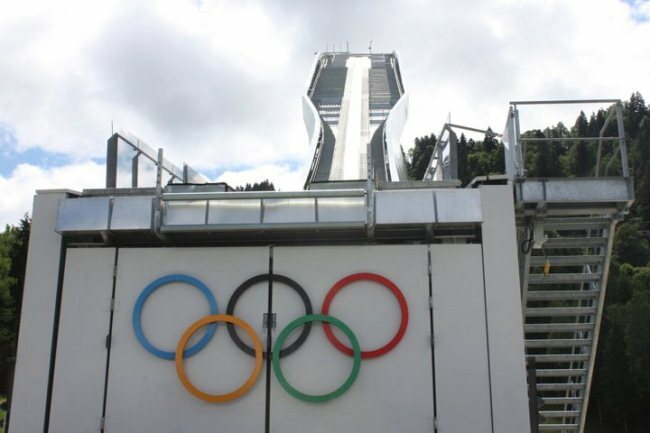 Niemożliwe było w sumie aby tak odskoczył rywalom. 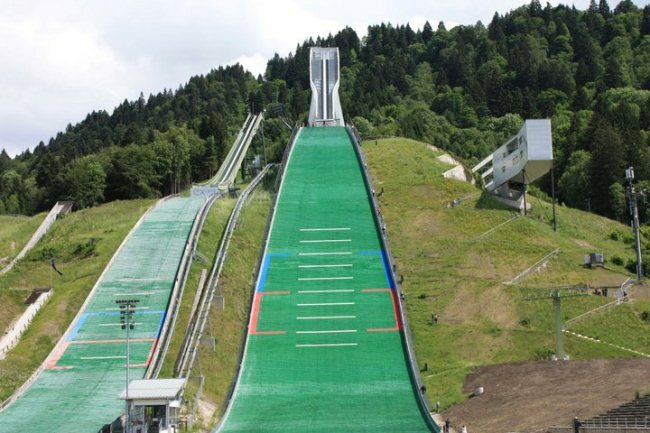 W sprostowanych wynikach na fis-ski.com jego skorygowana odległość to 35,5 m.
W każdym bądź razie chyba masz dostęp do adresów IP i możesz sprawdzić kto pisze z jakiego. 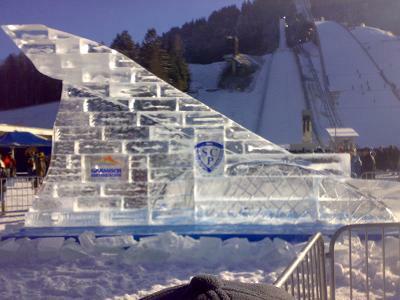 Ja zazwyczaj piszę z tego samego. 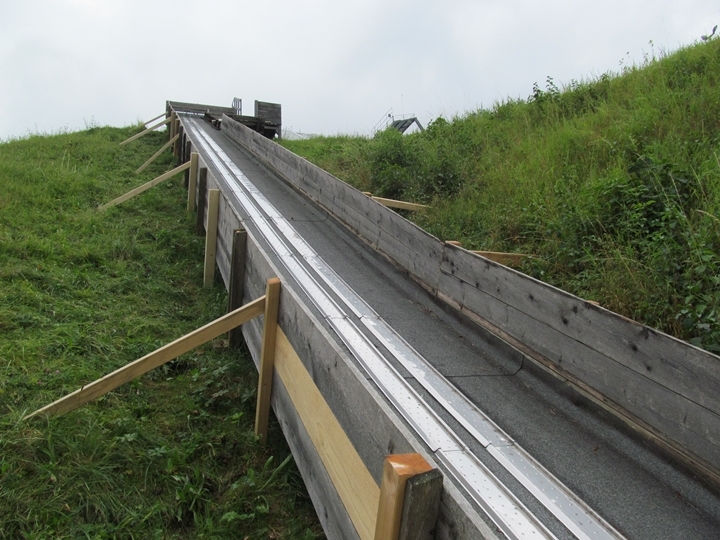 I nie podaję nigdy nieprawdziwych informacji. 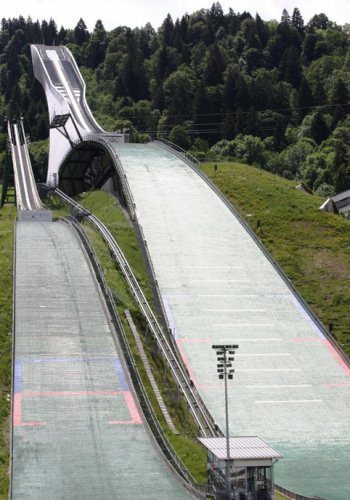 Widzę, że jakaś menda podszywa się tutaj pode mnie. 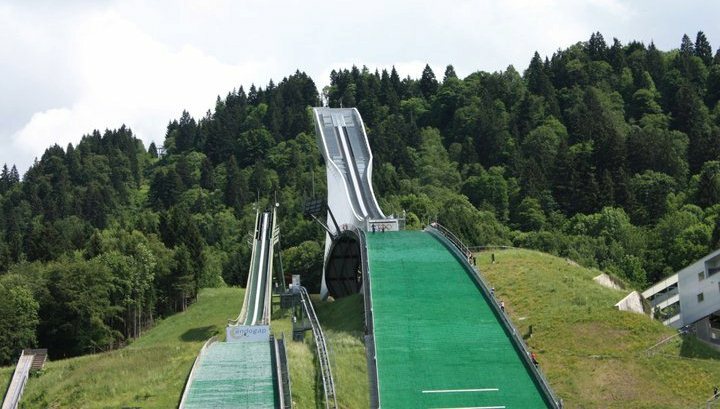 Proszę zwracać uwagę na adre e-mail. 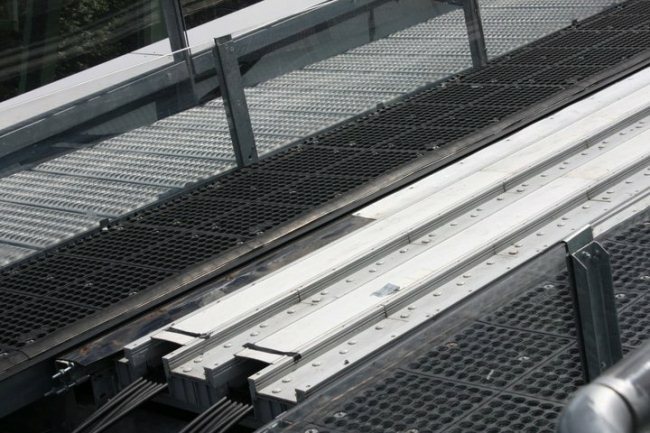 Mój ustatni wpis dotyczy skoczni w Autrans. 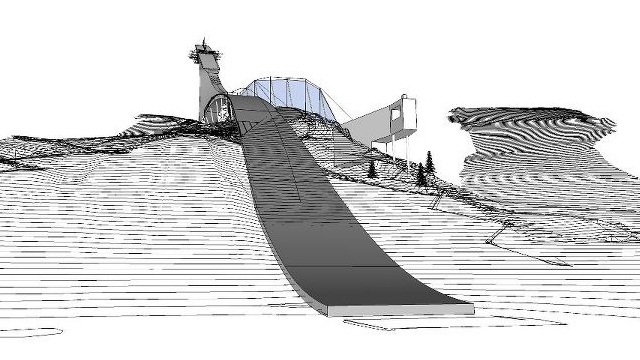 Reszta to wypociny jakiegoś frajera.